There are quite a few problems women can experience when it comes to hair. 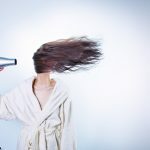 Some hair-related issues result from wrong choice of hair products and cosmetics, others are connected with genetics, thyroid disorders, anemia etc. There are also hair problems connected with chemotherapy or resulting from accidents. However, hair problems aren’t only related to physical issues, some have a psychological background. One of such issues is trichotillomania. The name seems overwhelming and difficult to comprehend, however the condition is actually commonly treated when approached quickly and correctly. So what is trichotillomania, and what are its symptoms and possible treatment methods? Trichotillomania is an impulse control disorder, manifested when a person feels an irresistible urge to pull one’s hair out to the extent that substantial hair loss can be seen. This is a long-term habit performed at unpredicted times. People with this disorder are aware that these impulses are harmful and damaging but are unable to stop them. The reasons for trichotillomania aren’t exactly known and there is no direct test/diagnosis which could confirm it. Therefore finding out if a patient has the condition can be challenging. It is very common for people to reach out for professional advice from psychologists or psychiatrists as well as specialized doctors when the first symptoms are noticed. Trichotillomania often begins to manifest at some point during childhood, though it is common for children to grow out of the condition. The urge to pull one’s hair out has a relaxing or soothing effect, therefore children who are anxious often perform such behaviour. There are various possible treatments for this condition, most of them rely on cognitive behavioral therapies. The most obvious trichotillomania symptoms visible at first sight are: compulsive pulling of one’s hair and substantial hair loss (bald patches or smaller spots). Other trichotillomania symptoms that are subtle but may reflect beginning symptoms of the disorder are: repeated inspection of hair roots, twirling and playing with hair, pulling one’s hair between teeth, chewing hair and visible nervousness and distress that accompanies these actions. After the act is done following an urge, it is very obvious that this person feels self satisfaction. It is a common issue that people with this disorder tend to deny their problem and try to cover their hair loss with head covers, scarves or changed hairstyles. However this is not a solution, and people affected by the disorder are advised to tackle the issue with the help of others, as soon as possible. Since it’s a psychologically grounded problem, diagnosis and treatments aren’t easy, therefore it is necessary that the patient is determined to battle this disorder. Only then the highest success rates will be visible.